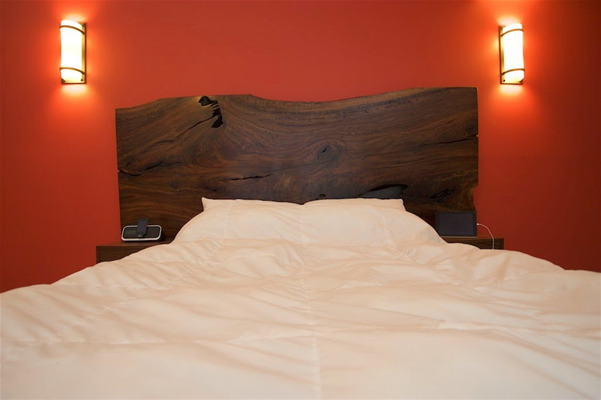 we have also made beds and headboards using walnut slabs. this one we completed recently. the blog post about it is dated november 15, 2014. the design was based on a walnut bed we made for clients in florida back in 2011, and that one is shown in my 'popular posts' blog category.